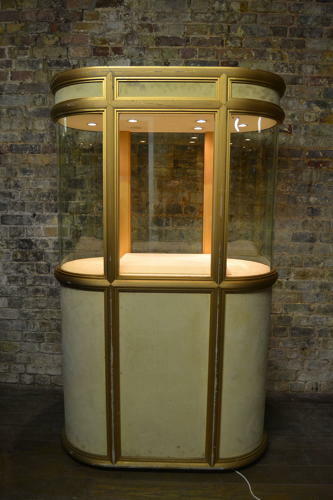 This is a lovely white and gold jewellery display cabinet from the Ritz hotel from the 1950s. It has bow glass ends either side, lights inside the cabinet and a shelf can be fitted if required. We have five cabinets like this available. There is also an additional top that adds 35cm in height.